Many of us remember playing Atari and Nintendo games growing up. If you asked any thirty-something about what it was like to grow up as the video-game industry evolved, you would probably hear something like this: “When Nintendo came out, it changed everything. I loved playing Zelda and Mario and Excitebike.” The Nintendo gaming experience created a sense of excitement, wonder, and intrigue. These emotional experiences have stuck with us, and those early games established gaming conventions that paved the path for Zynga and other social-gaming companies. The experiences these companies offer tap directly into childhood memories, creating a feeling of nostalgia and taking us back to a time when discovering the next pixelated dungeon was the highlight of our week. Likewise, many of us remember Hollywood’s early forays into 3D filmmaking. We saw our favorite slasher and monster movies in theaters, wearing goofy red-and-blue tinted glasses. Eventually, polarized lenses in plastic frames and other more sophisticated technologies replaced these. But it wasn’t until recently that 3D film began to fully realize its potential with the creation of newly immersive movie-theater experiences. This month’s column explores how legacy technologies such as 8-bit video games and 3D movies have helped pave the path for some of today’s largest entertainment companies. 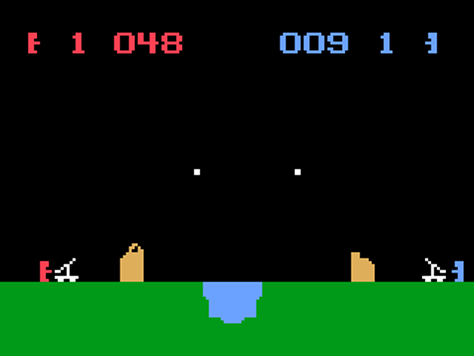 The concept of video-based games has been around since the 1940s, but video gaming did not have worldwide impact until the release of the Atari 2600 in 1977. Atari established the market for home-based gaming consoles and, consequently, launched the billion-dollar gaming industry we see today. Atari released the console during the holiday season of 1977 and had nine games available for users. These games set the tone for the family gaming experience and inspired many of the games we have all played and loved. 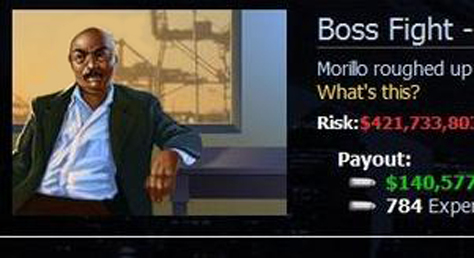 It was this initial gaming experience that set the tone for what people could expect and would feel when interacting with a television or computer screen for fun. Atari, and the other gaming systems of the time, established many of the earliest forms of gameplay that are still prevalent in social and mobile gaming. For example, the popular mobile game Angry Birds uses many gameplay elements of classic artillery-style games such as Smithereens! as you can see in Figures 1 and 2. Developed by Magnavox for the Odyssey 2 and released in 1982, Smithereens! used a simple play mechanic that let players judge the distance to a target and fire a catapult at an opponent. 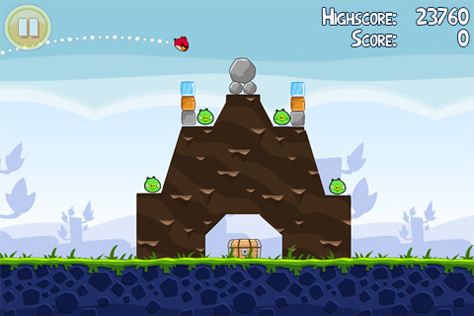 By correctly judging the distance, including the arc of the projectile, a player can accurately find his or her target, much as in Angry Birds. Nintendo followed Atari into the gaming market, releasing the Nintendo Entertainment System in 1985 in the middle of a massive video game–industry crash. IGN eventually named the Nintendo Entertainment System the top video-game console in history. Nintendo introduced such classic games as Legend of Zelda and Super Mario Brothers. Their new generation of games enhanced the gaming experience with better graphics and sound, but also established new game mechanics in the areas of strategy, storyline, and character development. The NES gaming platform further solidified the look and feel of home-based gaming and set the stage for that nostalgic feeling we get when playing those types of games today. This is where companies like Zynga, Playdom, and Playfish come into play. These companies are tapping into the historic user experiences gamers obtained from systems like the Odyssey, Atari, and NES. Their look and feel is reminiscent of the 8-bit, low-fidelity standard of that earlier time, and their simple, but addictive style of gameplay recycles the interaction design models of original favorites like Asteroids and Zelda. 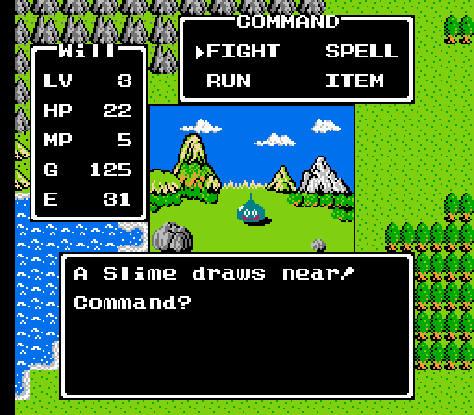 As Figures 3 and 4 show, games like Mafia Wars combine the nostalgic feeling of historic games like Dragon Warrior (1986) with the new frontier of social connectivity. This creates a very powerful psychological connection between users and, ultimately, a very large fan base. In the early 1920s, the introduction of 3D film to a paying audience occurred at the famous Ambassador Hotel Theatre, in Los Angeles, California. The film they showed, The Power of Love, was ahead of its time and not a huge success, in part because of the limitations of the technology available at the time. It was not until the Golden Era of 3D in the early 1950s that 3D films started to take off commercially. By then, stereoscopic color and stereophonic sound had become available and were part of the 3D experience. Large studios such as Disney, Columbia, and Warner Brothers developed 3D films during that era. Films like House of Wax, Man in the Dark, and Melody were a huge success, and 3D film became established as a commercially viable format. Over the next several decades, 3D films became much more common, but the technology was in most common use as a gimmick to enhance sci-fi, monster, and slasher movies rather than for major dramatic films. Beginning in the mid-1980s, IMAX began releasing 3D documentary films, and studios such as Disney started producing special-purpose films like Captain Eo for their theme parks. With their integration of 3D into amusement-park and educational films, they established a 3D film experience that engendered excitement and joy in the minds of children. Over time, 3D technology has continued to mature in IMAX 3D films. Much of this progress has occurred under the supervision of filmmaker and innovator James Cameron. This period of rapid development for 3D films culminated in the release of Cameron’s technological masterpiece Avatar in 2010. Avatar was a huge financial and critical success, becoming the highest grossing film to date, as well as the first 3D film nominated for an Academy Award in the Best Picture category. In the wake of Avatar’s success, studios have converted numerous films to 3D prior to their release, ushering in a new era for 3D filmmaking. While in 2008, there were only three feature-length 3D films that received a wide release, studios have scheduled 39 feature-length 3D films for wide release in 2011. Many of these new 3D films follow in the footsteps of their forefathers and are thrillers and monster movies like Sanctum, Piranha 3D, and Resident Evil: Afterlife. Often these movies employ shots that are similar to those of the thrillers from the 60s and 70s with objects flying at the audience, evoking some powerful feelings of nostalgia. Using nostalgia is a very effective means of establishing an emotional and psychological connection with an audience. Strategically applying some well-established user interaction models can evoke nostalgia in users and, thus, have an immediate emotional impact on them. The simple block-pushing play mechanic of Boxed In, instantly reminds me of block-pushing puzzles, which, in turn, remind me of The Legend of Zelda: A Link to the Past (1991). Such nostalgic connections tap into long-held feelings of enjoyment, indirectly creating new, positive associations. In addition, these historical references result in intuitive user interfaces, because they use familiar interaction models. 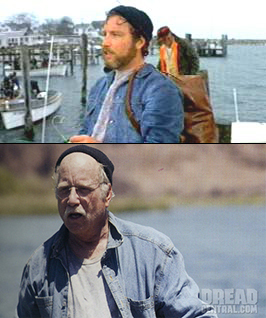 The recent movie Piranha 3D played on many genre conventions to evoke a feeling of nostalgia, including standard 3D camera gags, references to earlier Piranha movies, and even a cameo from Richard Dreyfuss, shown in Figure 6, reprising his classic role from Jaws (1975). This kind of clever use of nostalgia helps to engender a positive emotional reaction in the audience, fostering their close connection with the material. Thus, you can use nostalgia as a way of developing an intuitive user interface and tapping into your users’ deeply held emotional associations with products of the past. When doing so, make sure you know your source material well. Technologies of the past have influenced all of us, so it’s important to recognize and understand these influences to work them into your designs in a meaningful way. As an example, to make the most of the historical references in the movie Piranha 3D, you would need to know that Jaws heavily influenced the original Piranha. Thus, these references carry a great deal of meaning. Likewise, when developing products that have nostalgic elements, recognizing your influences helps you to incorporate such references in a way that makes sense to your audience. For example, the Tricorder mobile app taps into the similarity between mobile devices and the influential Star Trek gadget and includes authentic sound effects and visuals. While this kind of reference works great for a mobile device, it would be inappropriate for a desktop application. As humans, we all have a rich history of interaction with technology and art. We carry this history with us, and it is the lens through which we view every interaction we have with technology. We can often see these threads of influence in the products we encounter. Today, it’s easy to see how the iPhone has influenced the latest HTC handsets. Likewise, it’s easy to see how the early Nintendo console controllers have influenced the design of PlayStation and Xbox controllers. Our ability to recognize these influences opens the door to our incorporating nostalgia into our designs, inspiring positive emotions in the people who use our products and eliciting an immediate understanding of their interaction models.